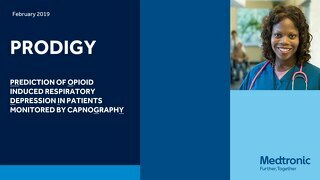 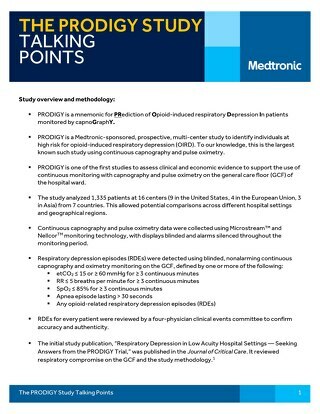 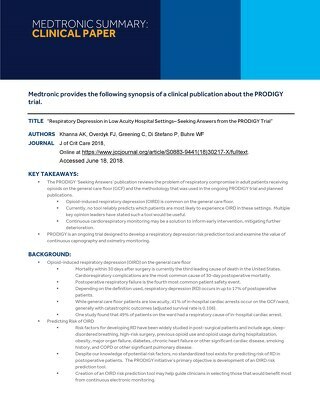 PRODIGY (PRediction of Opioid‐induced respiratory Depression In patients monitored by capnoGraphY) is a prospective, multi‐center, international cohort study to assess the potential for respiratory compromise (RC) risk assessment in patients receiving opioids on the hospital general care floor also examining the value of continuous capnography and oximetry monitoring. 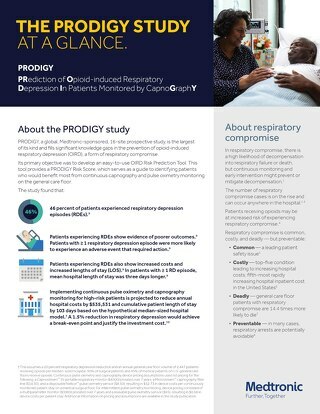 Thought leaders discuss why they believe respiratory compromise is an important safety issue needing better solutions. 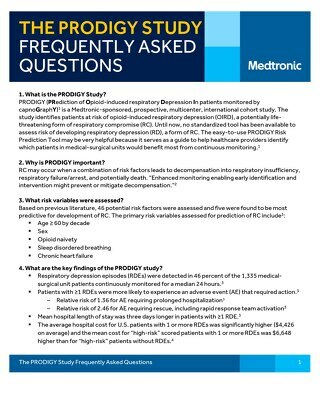 Dr. Ludwig Lin interviews Dr. Ashish Khanna on the preliminary results of the PRODIGY study, awarded a Star Research Presentation at the SCCM conference.